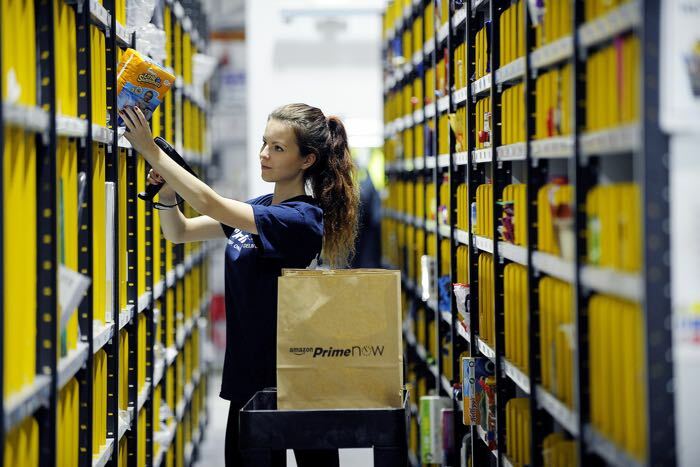 Amazon has announced that their one hour delivery service Amazon Prime Now is offering over 7,000 products from local shops in London. Amazon has teamed up with a number of local shops in London and is offering deliveries on wine, some beauty products and more. Amazon today announced its Prime Now service will offer one-hour delivery of more than 7,000 products from select local shops in addition to 15,000 items offered by Amazon. Prime customers in selected London postcodes are now able to purchase luxury health, wellbeing and beauty products from John Bell & Croyden – pharmacists to Her Majesty The Queen – and fine wines and spirits from Spirited Wines. Within the Amazon Prime Now app, customers can browse or search selection by store – John Bell & Croyden or Spirited Wines – and create a separate shopping basket. Prime members can choose delivery within one hour of ordering for £6.99, or delivery within a choice of two-hour, same-day delivery slots at no extra charge between 8am and 10pm. Prime members in London can download the Prime Now app and enter their postcode to see if local shop delivery is available in their area. The minimum order value for Prime Now is £20 per store. You can find out more information about Amazon Prime Now over at Amazon at the link below.